Netflix boasts many originals and blockbusters. In the case of shows like Black Mirror and Narcos, viewers are given a taste of what they are about to watch, obviously, from the show or movie title. However, the show Dear White People is interestingly one of the few misnomers on the network. Dear White People is based on a 2014 film of the same name, both written by Justin Simien. Season two of the show was released on May 4. With the buzz that the show got due to its misleading title and its satirical plotline, I knew I had to recap season one. 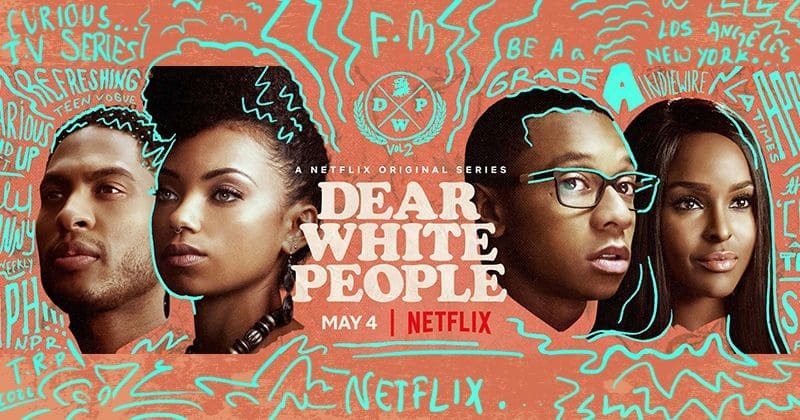 Dear White People focuses on the main character Sam, a black college student who runs a radio hotline called “Dear White People” at a predominantly white and extremely competitive fictional college called Winchester. The creation and name of her radio station receives a lot of backlash from the white students of the college. However, Simien uses Sam to address the show’s misnomer by explaining that although the radio station (and show) is addressed to white people, it is mainly focused on black people and doesn’t hesitate to criticize the black community. Further, Simien makes each episode of Dear White People based around a different black member of the college. First there’s Sam, the headstrong activist on campus, who feels guilty about dating a white person. Then there is Lionel, an avid writer for the school newspaper who struggles to embrace his identity. There’s also Coco who comes from South Side, Chicago, but feels entitled when she is around the black community. This wide range of characters makes up the small percentage of blacks at the college. They allow Sam to use her platform to fight for and, at times, criticize her own people. In the original movie, the main issue that Sam was broadcasting against was a “black face” party hosted by one of the notorious frats called “Pastiche.” While the party was shut down by the cops, Sam was taken aback by the fact that some members of the black community actually dressed up to attend the event. Season one of Dear White People tackles the unrest at Winchester; the non-colored students feel as though there is a “war” being waged by the colored people. For this reason, one of the donors offers to shut down a historically black house at the college and replace it with a mixed house. When students find out about it, the reaction is just as fiery as the one against blackface. Season two leaves viewers wondering whether or not the black community will be forever rocked by the potential loss of a meaningful sanctuary for them. They have to face the fact that despite their differences and internal issues, they must band together in order to survive. Dear White People is a show that will keep you laughing and doesn’t demand too much of your attention. The episodes are short and there are only ten in season one and eight in season two. I found myself laughing at the satire that all students, regardless of background, can somehow relate to. The one criticism I’ve heard about the show, and I slightly agree with, is that the generalizations for the satire were overworked. The “types” of social groups at the college (based on race) seemed too cliché for some viewers. However, I think the show does a great job of explaining an aspect of college that many tend to overlook, while serving up some humor at the same time. The start of the new year always marks the release of new tech. In this column, I will talk about the latest technology releases, products, and news. I will also report on updates in Pingry technology. What’s happening in the Student Technology Committee (STC)? This past fall, STC sent out an application and accepted new members to its team. Currently, the Acceptable Use Policy is being revised to become more relevant to the community’s use of technology. STC is also interviewing students and faculty for feedback on Schoology, the online classroom platform that classes are currently using after the switch from Moodle. Furthermore, the virtual reality group is working on implementing Pingry’s VR system into multiple fields of the school. Finally, the coding group is modernizing the Community Service Portal using the programming language, HTML. First, smart mirrors began gaining prevalence in this year’s show — think the Mirror of Erised from Harry Potter, which shows your heart’s deepest desires, though these smart mirrors aren’t quite as developed as the Mirror of Erised just yet. The Haier Magic Mirror allows you to try on articles of clothing virtually by superimposing images of clothing onto your reflection in the mirror. The clothes are scanned into the system via a Radio-Frequency Identification tag embedded in them. The HiMirror Mini is another interesting glass gizmo that allows you to track the effects of different skin care treatments. 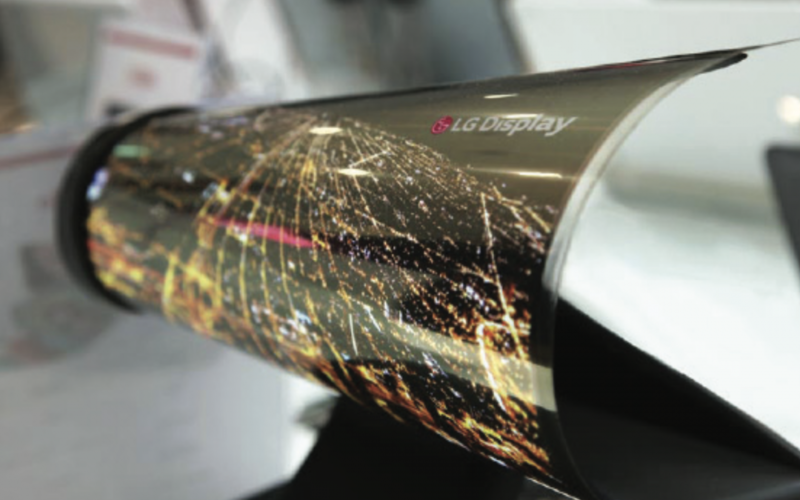 Another interesting release is the rollable Organic Light Emitting Diode (OLED), a 65-inch diagonal monitor created by LG. When not in use, the monitor, which can be used as a TV, can be rolled up into a long cylinder. The user can change how much of the monitor can be viewed by controlling how much of it is rolled up, similar to the way a projector screen can be pulled down at different lengths. This flexibility allows for different scaling options and optimizes the screen for different content. My last pick is the Vivo X20 Plus UD, an innovative smartphone with a fingerprint scanner underneath the screen. One of the biggest questions leading up to the launch of the iPhone X was whether or not it would have an on-screen fingerprint scanner, since there would no longer be a home button that doubled as a scanner. Well, we now know the answer to that: no. While FaceID is a good substitute, fingerprint scanners work better in certain scenarios. It is a big deal that Vivo was able to keep a fingerprint scanner on a bezel-less screen without putting it in a less intuitive place like the back (á la the Samsung Galaxy S8/Note 8 and the Google Pixel 2). Hopefully, we will see this technology in more upcoming phone releases. Apple made waves recently with its long-awaited launch of the HomePod. Although the release date was a smidge late (two or three months behind schedule), the smart speaker has racked up lots of good reviews and ratings. The HomePod is essentially a high-quality speaker with advanced Siri and “smart home” functionality, as well as the ability to play music from the Apple Music streaming service. The HomePod features impressive sound, coming from a large “woofer” on top and seven “tweeters” on the bottom — an unorthodox layout. Sandwiched in between them is a six microphone array, which assures that Siri can hear you over loud music. The HomePod only works within the Apple ecosystem, which means that you will need an iPhone 5s or later running iOS 11 to operate it. The $350 price tag makes it a tough sell since it’s stuck in Apple’s ecosystem of products, but Apple fans should find it a reasonable purchase. Black History Month is a time to learn, remember, and celebrate the past and present achievements of African-Americans. This year, Black History Month also included the debut of Black Panther, the highly anticipated Marvel film that ties together all the values of Black History Month, inducing feelings of empowerment and cultural celebration. The film opens with an introduction to the fictional nation of Wakanda in East Africa. Many centuries ago, this nation was struck by a meteorite that contained vibranium, the most powerful metal on Earth. Wakanda then unlocked the powers of the Black Panther and five tribes emerged. Because of the strength of the vibranium, the citizens of Wakanda did not want it to fall in the wrong hands; thus, using the vibranium, they concealed their gorgeous and technologically advanced world to appear like a barren third world country. Unfortunately, the King of Wakanda is killed while presenting at a United Nations Press Conference. His son, T’challa, is left behind and must assume the role of the new King of Wakanda. The powers of the Black Panther are transferred to T’challa and he must ensure that there is peace both inside and outside of Wakanda’s invisible walls. One key component of Wakanda is that they have undercover spies posted in various global locations to inform the home base of any dangers to their safety. One of the recurring problems that T’challa and the kingdom of Wakanda face is the notorious arms dealer, Ulysses Klaue. Earlier, Klaue had found a way to break into Wakanda and steal some vibranium. Ever since then, he used the powerful metal to illegally create and sell deadly weapons. T’Challa, with the aid of his female sidekicks Nakia, Okoye, and Shuri, go to South Korea on what they believe to be an easy mission to finally capture Klaue. However, T’Challa meets his match, an outsider who possesses a vibranium chain. At the same time, a former member of Wakanda betrays the kingdom by trying to expose all of Wakanda’s resources to the world and potentially causing ruin and destruction if the vibranium ends up in the wrong hands. Black Panther and the entire Wakandan kingdom therefore face a problem that is even more potent than protecting their precious vibranium: how to address a traitor. Black Panther is a movie filled with action packed scenes, beautiful landscapes of the fictional African nation, and many drops of humor. Even though the film was a little over two hours, my eyes were glued to the screen the entire time. Aside from the brilliantly written plot, a major highlight of this movie was the African-American representation in the cast. Cast members included Chadwick Boseman (who starred as the Black Panther), Michael B Jordan (who played the Wakanda outsider and eventual villain), Lupita Nyong’o, Angela Bassett, Danai Gurira, and Daniel Kaluuya. Another key element in Black Panther was female empowerment. Most, if not all, of King T’Challa’s main advisors are women. The strongest warriors in Wakanda are also women. 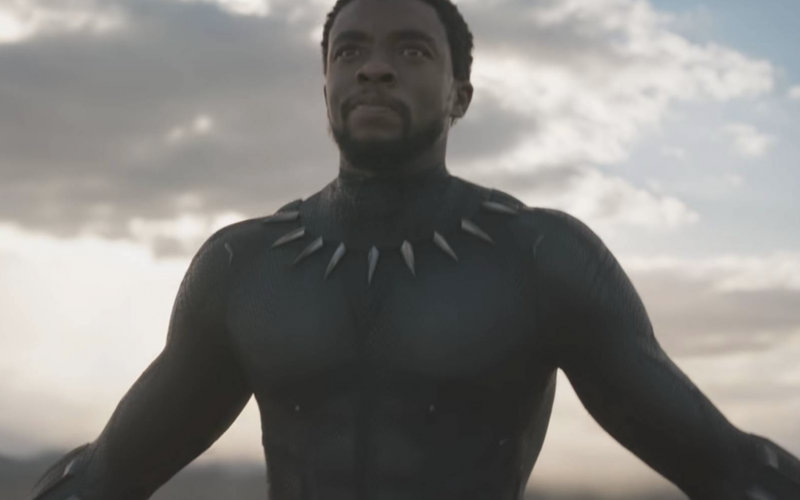 Furthermore, the soundtrack for the movie adds to the theme of African-American empowerment with top artists such as Kendrick Lamar and SZA contributing to the score. This powerful representation of African-Americans and strong women in the cast helped Black Panther become the fantastic film that it is. As a young African-American woman, it felt good to finally see people who look like me being in the majority of a movie’s characters. Usually, superhero movies have a token Black person as a minor or stereotypical character. Black Panther rose above this norm and empowered African-Americans to take on strong roles. Black Panther is definitely a must-see movie. 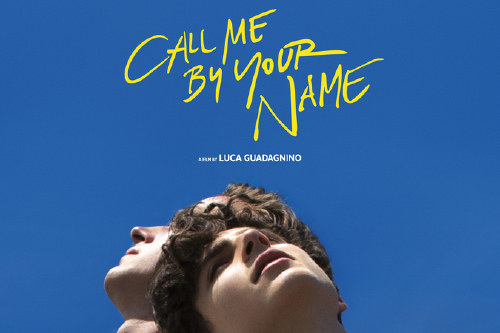 The electrifying music, cast, and plot make this movie excellent. I’m already planning for when I can rewatch it! Shots fire out at a local gas station. The culprit? Up-and-coming rapper Paper Boi. Atlanta opens up with a scene that epitomizes the message of the show: minor mistakes cause major damage. 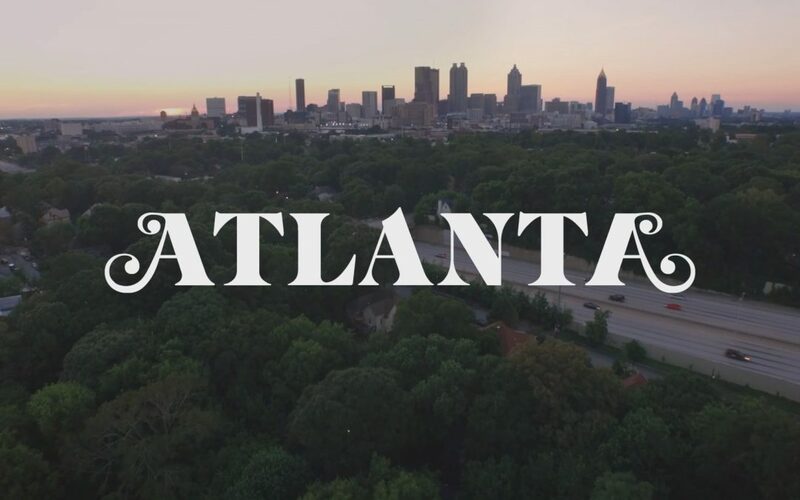 Coming off the heels of an Emmy award, Atlanta is a show that paints the hardships of life that so many people face in a profound way. Writer and producer Donald Glover stars as Earn, a Princeton dropout who can barely make ends meet. Earn has to find a way to support his daughter and now his cousin, Paper Boi. Desperate to make an income, Earn turns to music management after seeing the success of Paper Boi’s new song. However, before Earn can make an attempt at making a career out of Paper Boi, he first has to await bail for the gas station incident. Earn and Paper Boi sit in jail, and while the scene is depicted simply, Donald Glover inserts several critical messages. First, one of the inmates is clearly mentally ill and repeatedly provokes the guards. They know he is ill, but the guards just laugh at him. The guards wait until this inmate pushes their annoyance to the edge to finally rough him up. Earn is in shock and pleads for the man, asserting that the latter is mentally ill and doesn’t know how to control his actions. In addition to mental illness, other issues such as transphobia and homophobia are explored in Earn’s time in jail, all in a single scene. After their time in jail, Earn and Paper Boi return to their project of turning Paper Boi into a household name. The rap life proves to be difficult as Paper Boi has to dodge critics, make ends meet, and clean up his name after the gas station incident. Earn and Paper Boi are accompanied by their sidekick Darius, who often holds them back from success. The trio symbolize the misfortune of opportunity without resources. Paper Boi has the talent to be a street rapper, but he has to learn the reality that the street life widely differs from real life. He needs to learn to make connections with important reporters, promote himself at clubs, and manage his money properly. As a rapper himself, Donald Glover tries to portray the message that the rap life isn’t easy and not everybody makes it. In Atlanta, Donald Glover shows the constant setbacks that characters face including homelessness, racism, and a lack of resources. Yet what makes the show outstanding is the fact that Glover manages to convey these subjects in a comedic manner. One example is the scene when Earn decides to impress his girlfriend Vanessa by taking her to a fancy restaurant. Earn only has $90 in his bank account to spend on their night out. Viewers see how Earn tries to avoid paying for parking, orders only one glass of wine, and orders the cheapest meal on the menu. However, Vanessa insists on getting a valet, she orders a bottle of wine, and the pushy waitress makes them try every expensive item that the restaurant serves. In this scene, along with many others, viewers find comic relief from how relatable Earn’s struggle is. At other times, I found myself laughing until I realized the veracity of the underlying message. In a satirical episode, Paper Boi is starring on a show called Montague, and during one of the breaks, a cartoon commercial for a cereal similar to Froot Loops appears in which the kids steal the cereal from a mummy. As I was laughing at the stupidity of the commercial, a police officer appears and pins the mummy to the ground. I began to realize how Atlanta uses its creative genius to touch on a subject as deep as police brutality in a fake commercial. I literally had to rewatch the scene to better understand the message. This is what makes Atlanta different. Viewers laugh at the comedy of the struggles that the characters face but are also challenged to pick up on the various messages that it leaves behind. Although the storyline simply follows an up-and-coming rapper and his manager, Atlanta causes the viewer to question all aspects of society. I highly recommend this show, and its short, hilarious episodes make it an easy watch. Season 2 doesn’t come out until 2018, so there is still a long time to catch up on this fantastic masterpiece.